Over the next few weeks we are going to examine a few of Jesus' final days. A handful of scriptural snapshots reveal to us Jesus' revolutionary actions and teachings as He willingly embraces His trajectory to the cross. If you're looking for an example of what to do and say to get yourself crucified -- Jesus is your man. The four Gospels teach us that Jesus officially begins His preparation for burial on the Friday He enters Bethany and claims His work finished the following Friday in Jerusalem while dying on the cross. And although the Gospel evangelists don't say one word about what Jesus is doing on Saturday or Wednesday, these eight days are worthy of our utmost attention and reflection, for in this brief period of time (from Friday to Friday), Jesus revolutionized the world in eternally significant ways. I pray you will approach each day with open minds and make your way through this study with a sense of amazement about who Jesus is and what He accomplished in just eight days. For many churches around the world, the Holy Spirit is given the back seat, so to speak, with God the father in the driver's seat and Jesus riding shotgun. To be Christian however, is to be Trinitarian, which means we worship one God in three persons: Father, Son and Holy Spirit. They are distinct but inseparable, eternally one in essence and power – to paraphrase some of the early Creeds. Through these reflections on the Holy Spirit, I pray you become more in awe than ever before of the mystery and majesty of the Holy Spirit – and at the same time, come to a deeper realization of the Spirit's mighty movement, not only throughout this world or around your lives, but also within you! "Sometimes seeing God at work in the world requires us to see what shouldn't be here but is." "For our sakes, God went where He had no business to go fix a problem that we had no business asking to be fixed." "When the power of sin is destroyed, love has no limits." "The soldiers were playing games in the shadow of the cross. Many people are doing the same today, playing games with their lives." 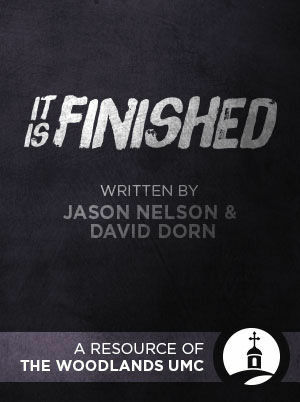 It Is Finished by pastors David Dorn and Jason Nelson from The Woodlands United Methodist Church is a six-lesson study built around the final words of Jesus from the cross. Jesus' last words are powerful teaching moments that if unpacked, can radically shape our lives as we learn what it means to be human and the limitless love of God. 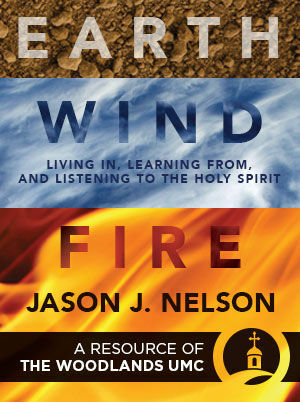 Each lesson dives into the historical and practical significance surrounding each of Jesus' phrases while the study guide gives the viewer different spiritual practices to participate in throughout Lent. "You and I are not only part of God's family, not only saved and given wisdom and knowledge, not only inheritors of His kingdom and vessels of the Holy Spirit, but we are actually the praise of God's glory—a proof of God's greatness!" 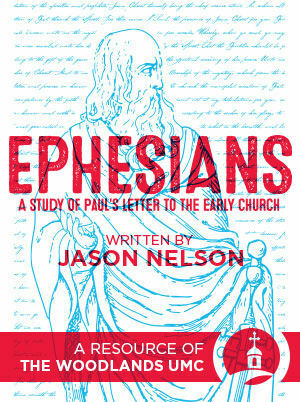 Ephesians challenges us to see ourselves distinctly as God's children. Because of our new status in Christ, our lives are marked and our actions should reflect that change. 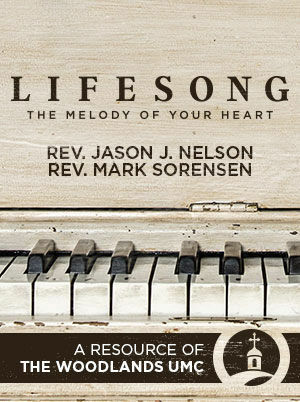 Join pastor Jason Nelson from The Woodlands United Methodist Church in this six-lesson study as he challenges us to read these words with a fresh perspective and engage with each other as people defined by grace. This study serves to remind us that we are molded by grace into one family, the family of God.